To be successful in digital marketing, it’s crucial that you understand the importance of search engine optimization. In simple terms, SEO is how Google decides whether your website or blog is worthy and relevant enough to deserve a high search result ranking. By optimizing your blog post, you can help make sure your page is more visible to people searching for associated keywords. In this blog, Front Porch Solutions will walk you through everything you need to know about blog SEO. Ideally, you should find one or two long-tail keywords that match the search intent of your potential readers. 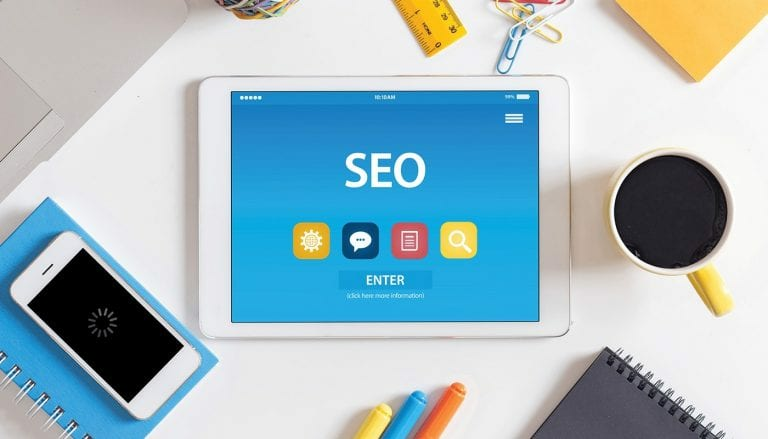 For example, if someone is searching “blog SEO,” while another person is searching, “blog search engine optimization,” and a third reader enters “how to blog SEO,” they all have the same intentions. By choosing the right long-tail keywords, you can keep your post focused on the specific goals of your readers. Properly incorporate the keywords into your post. After choosing the best possible keyword(s), there are certain parts of your post where you need to include them. These sections consist of the title, body, permalink, and meta description. The title of your blog is the first step readers take in deciding if it contains the information they’re looking for, making it an essential place for your keyword. Sprinkle your keyword naturally throughout the body of your post. Remember that providing quality, relevant content should always be your primary focus, rather than trying to include your keyword excessively. Every post has a customized permalink that search engines use to determine what the post is about. It’s vital to your blog for SEO purposes that you include your keyword(s) within the permalink. Finally, don’t forget about optimizing your blog’s meta description. The meta description is an approximately 300-character long snippet that appears in SERPs and summarizes the blog’s content. This portion is exceptionally crucial because it’s your chance to entice readers to notice and click on your blog despite all the other search results. Include images and optimize their alt text and titles. There’s no doubt that we live in a very visual-driven world when it comes to content. By including images in your blog, you can make it more intriguing than a plain-text page and even strengthen its weight within Google. In short, adding alt text allows search engines to register what an image relates to. This helps the images rank higher in Google Image search results, further improving the visibility of your blog. In addition to adding alt text, you should always rename your image from its original filename to something more descriptive. Though these steps may seem minor, they heavily influence how your piece performs within search engines. Incorporating internal links is another important aspect of blog SEO. By linking to relevant and trustworthy sources, search engines can better recognize the validity of your content. Another great tactic is to link back to your own content and other internal pages on your site. If you have written previous blogs that can help expand upon your current blog, including links to them can help readers further understand the content and keep them active on your site. By optimizing the theme of your blog, Google receives further indication that your site is valid. This includes making sure that your blog is responsive on mobile. Google prioritizes mobile-friendly websites whenever someone searches from a smartphone or tablet. Because of this, your traffic will suffer significantly if your blog isn’t responsive. You should also always ensure that your theme is clean coded, fast loading, and secure. Are you interested in starting or improving your blog? Get in touch with the Front Porch Solutions team today to see how we can help improve your blog search engine optimization tactics.